In this blog post, I will go over how to choose the perfect location for your engagement shoot. One of the biggest questions that new engaged couples ask when it comes to planning their engagement shoot is how to pick a perfect location. Check out these helpful tips below to help choose the perfect location for your timeless photographs. It’s not just about where you take your photos, but when you take them. One of the most important things needed by photographers to capture a great photo is beautiful quality light. You can be in the most stunning location, but if the quality of light is not great your photos could potentially turn out dull, flat, or simply uninspiring. Many photographers prefer starting their sessions either two hours after sunrise or two hours before sunset. With that being said, it’s crucial that you arrive to your session on time. Once the light is gone, it’s gone. 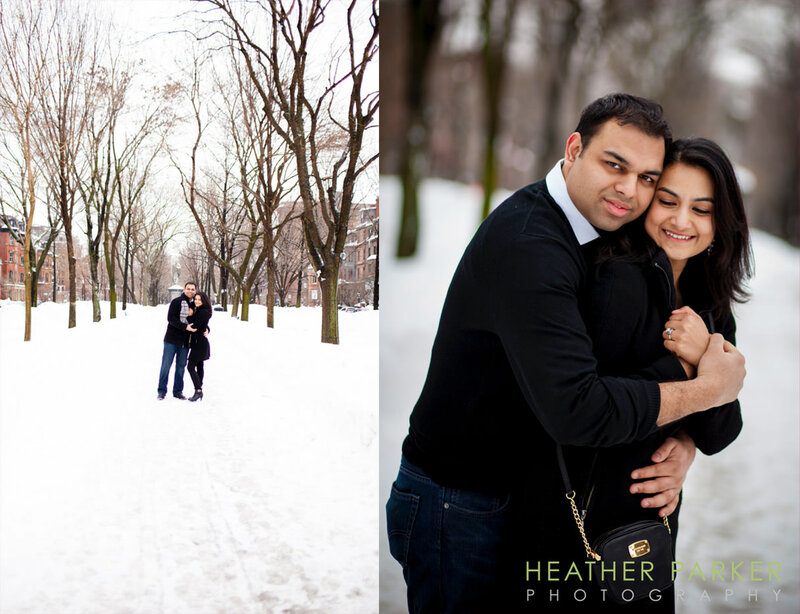 The time of year that you schedule your engagement session will determine the style and feel of your photos. 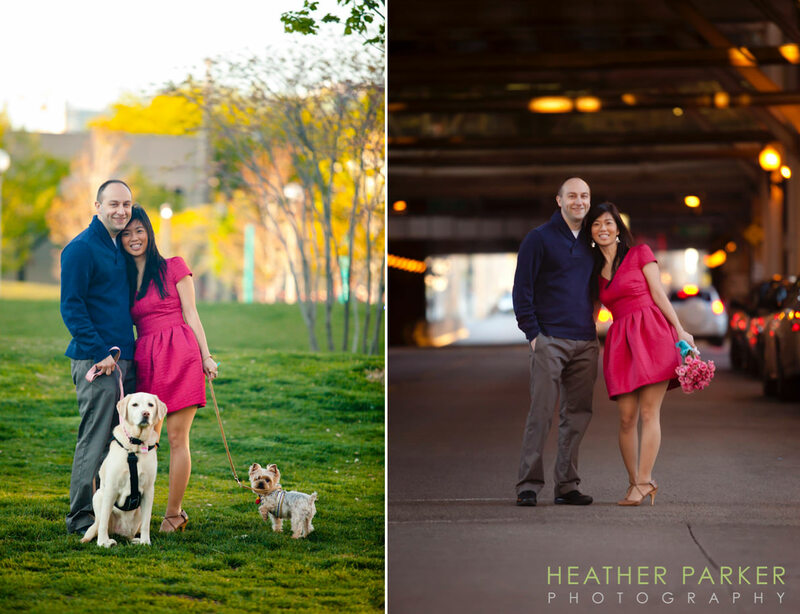 Fall and spring are the most popular times of year for engagement photos. Fall is a great time to have your shoot because the trees are still colorful, full, and vibrant. Nothing beats the beautiful red, orange, and yellow changing leaves! Fall is also great because heat and humidity have died down as well. Spring is also a great time to have your shoot. The sunny skies and gorgeous flowers in full bloom are a perfect backdrop for your photos. You can’t go wrong having your session during either season! Even though fall and spring are popular, sometimes winter shoots will work – as long as its not below freezing or very windy. This can cause eyes to water during your shoot. When planning your shoot, it’s always a good idea to look into any local events or activities of the location you are interested in shooting at. Some locations host events that attract very large crowds and booking your session during these times may require you to plan a little differently to avoid the chaos as much as possible. Likewise, when you shoot in any park in a city on a warm afternoon, chances are it will be crowded with people and they may end up in your photos. That’s not always bad. A bustling outdoor farmer’s market loaded with people and colorful items, can make for a really interesting atmosphere. Not only are these photos a great way to show off your love and announce your union to your friends and family, they are also a great way to look back on a special time in your life for years to come. Make it personal. Consider a location that is meaningful to you and your fiancé or part of your love story. It could be where he dropped down on his knee and proposed to you, at your Alma Mater where you first met, or a city that you both love. Meaningful locations are great because you will feel more comfortable during your shoot. When we work together, both the couple and I get to to learn signals from each other that help you look and feel more comfortable in front of the camera on the wedding day. An engagement session is also the perfect way to have a visual keepsake of what your love looks like and to be able to share that with friends and family. One engagement photo location that’s probably not so busy that you’re already familiar with is your home. It’s not something that comes to mind at first, but I adore these sessions. While this may be your first home together, growing families and job relocations may have you moving at some point in the future so a set of intimate photos in the first place you called home together will be cherished. I had one couple schedule a session around them baking a pie together and the photos turned out absolutely adorable. When choosing the perfect location, sometimes you just have to think outside the box. Planning a wedding can be both exciting and stressful, so make it an adventure and have fun doing one of your favorite activities together. Perhaps you met each other for the first time at a coffee shop or maybe you bonded over your mutual lover for football. Incorporate your favorite coffee shop or football stadium into your session. There are so many different types of activities that you can do with your partner, so have an open-mind and be creative. 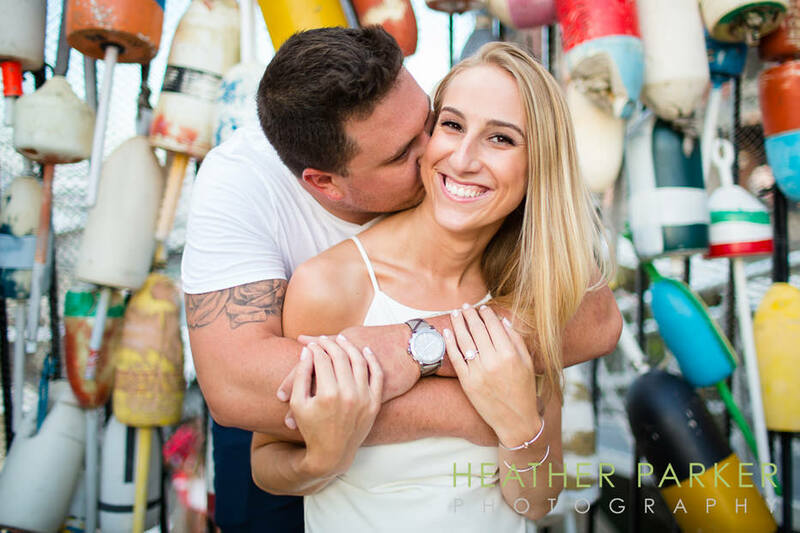 Treat your session like a date night, while at the same time allowing your photographer to capture what brings you and your fiancé closer together. Pinterest is a good place to find inspiration. Just like your location, your outfits should reflect your personalities. It’s important to feel both comfortable and confident. Be sure that your outfit compliments your location. A waterfront session with a business suit is as out of place as a lace gown and a crown of flowers in front of a coffee shop. For autumn foliage sessions, cozy plaid, colorful boots and jackets are appropriate. If all you own are something specific such as retro dresses or a preppy summer outfit, make sure your chosen location coordinates well with the outfit you plan to wear.